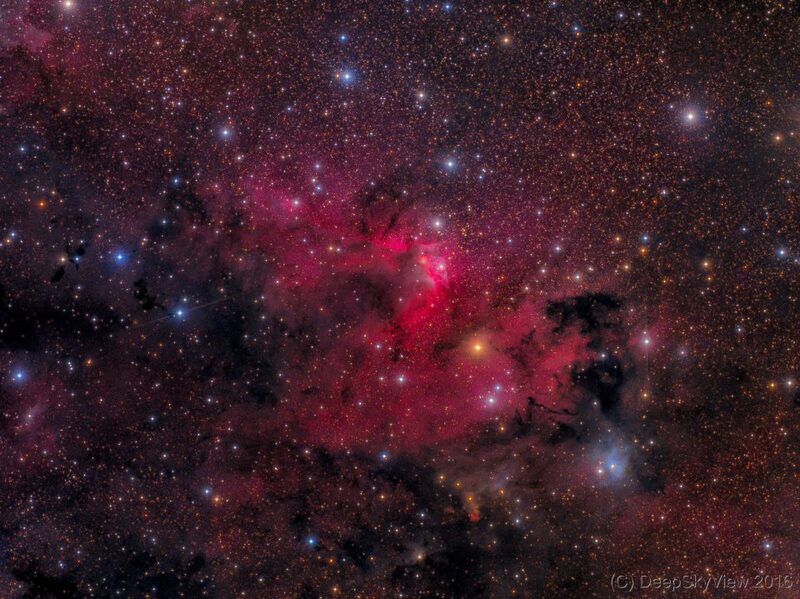 The Cave Nebula, Sh2-155, is at the heart of a lively and colorful region in Cepheus. The Ha region Sh2-155 is the red structure in the center of the image, surrounded by a whirl of colorful stars, reflection nebulae, and dark clouds. A beautiful and rich scenery – look at it in full-size view. This wide-field LRGB image is composed of 35 luminance and 9+14+16 RGB frames with 600 sec exposure each. Data taken at the Deep Sky West Observatory.